The much anticipated annual UTORCA ORC Conference held on July 13, 2016 was an astounding success with 185 in attendance. 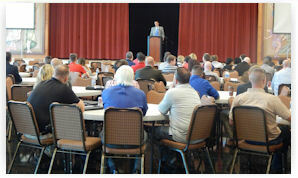 The Utah Organized Retail Crime Association gathered with industry experts, local Law Enforcement and Loss Prevention professionals across the Beehive State at the Utah Cultural Celebration Center in West Valley City for a free full day of instruction, training and networking, drawing larger crowds than previous years. FBI Special Agent Eric K. Barnhart of the Salt Lake City Field Office started off the conference, followed by Kroger National ORC Investigator Denny Dansak, Property Crime Detective Parsons Metzkow, Defense Attorney Michelle Diamond, ORC Corporate Investigator David Picard, Salt Lake City ORC Detective Vicki Aubrey, Regional Target ORC Investigator and UTORCA Founder Ben Becker, with closing remarks given by UTORCA Interim Chair Adam Ainsworth. The Utah Organized Retail Crime Association is now seeking new members, volunteers, grants and donations as the organization is projected to grow and expand over the next few years. UTORCA would like to thank all the vendors and organizations that help support the conference through financial donations, raffle prizes or other promotional support, including Walmart, Target, Rockwell, IAFCI, Kroger, D&D Daily and West Valley City. UTORCA was founded in 2012 as a platform to collaborate, educate, provide training and promote awareness to a $30 billion a year worldwide organized retail crime epidemic. Since established, the number of Organized Retail Crime Association members has grown steadily over the past few years, indicating the growing need to share information related to ORC, build partnerships between retail partners and Law Enforcement. 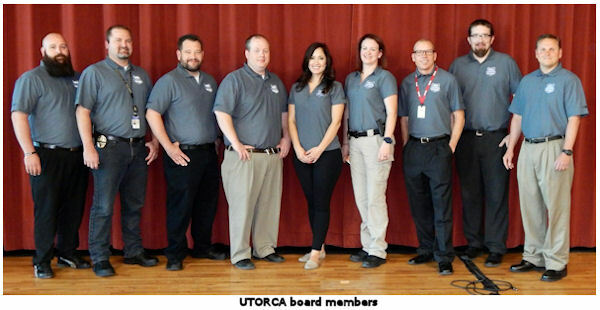 UTORCA and its members contribute immensely in promoting ORC awareness in the state of Utah. For more information about UTORCA and how to get involved, click here. You can also stay up to date on the group's activities by following them on Twitter. Many thanks to Aubree Mori for submitting this recap to the D&D Daily! Two men were arrested when Manhattan Beach police uncovered an alleged counterfeit credit card making operation in Riverside County, police said Wednesday. According to court documents, Virtucio purchased stolen debit and credit card numbers from computer hackers and encoded new cards with the stolen data. Then, he and his "global network of cashers" made a series of unauthorized purchases and ATM withdrawals.